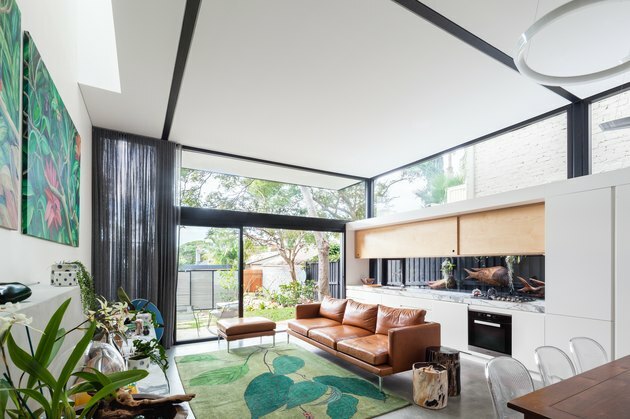 As a couple in a suburb of Sydney, Australia prepared to start a family, they knew they had to expand their residence as well. Their 1920s property had a front facade that needed to be restored, and they didn't have direct access to their garden. 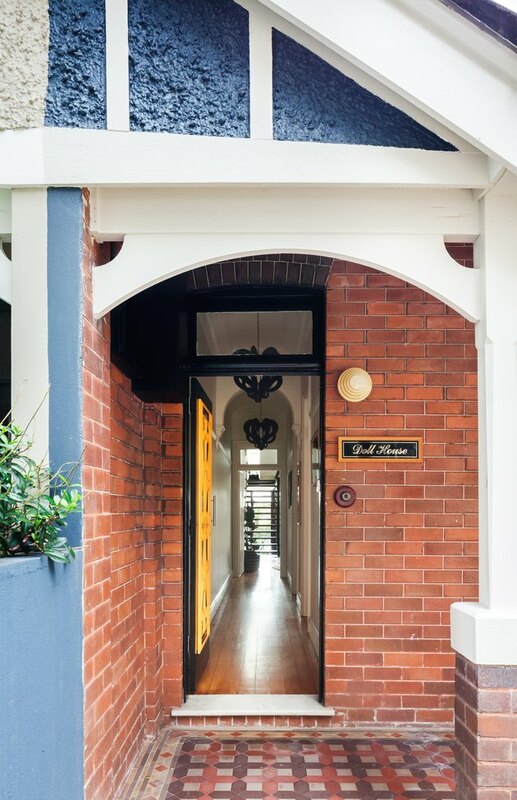 That was just the outside of their semi-detached house — the pair also wanted a cohesive layout that blended the structure's historical roots with a more modern, colorful aesthetic. They found Matt Day of Day Bukh Architects, a small firm specializing in sustainable design, who devised a split-level plan for the small lot. 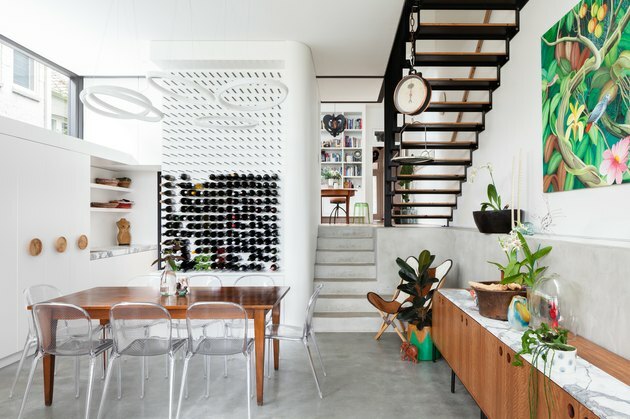 He started by creating an open kitchen, living, and dining area at the garden level, and then continued upstairs with a master bedroom and nursery. 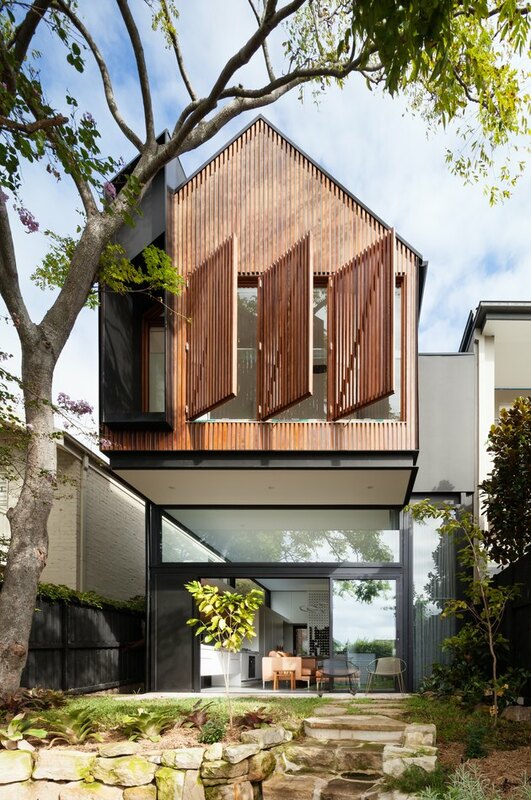 And to really give the new addition a modern feel, Day outfitted it with timber-battened screens that beautifully contrast with the address's sharp black exterior. Lastly, in keeping with the firm's eco-friendly focus, Day also made a point of including energy-efficient appliances, rainwater storage, and east-facing windows for cross ventilation. All in all, the renovation tried to cover every last detail of the family's future, in the hopes that its newest resident would feel right at home. The 1920s home is semi-detached, so the facade needed to be maintained to match its neighbor. 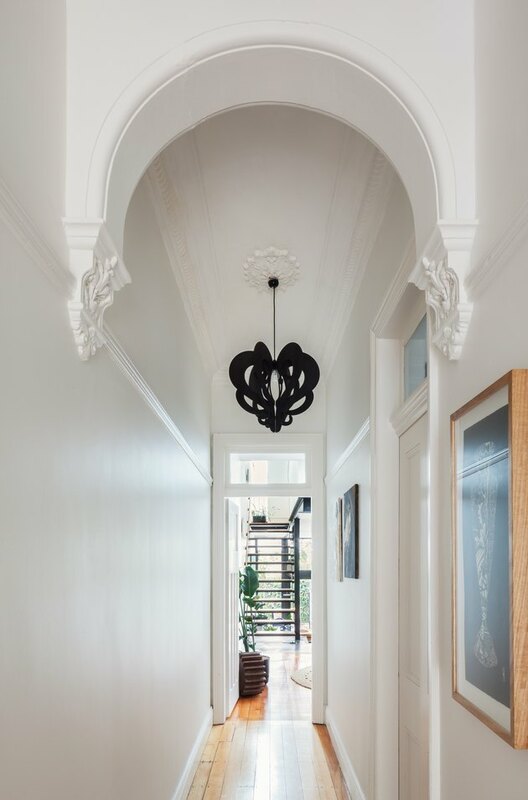 A modern pendant light plays off the existing home's ornate moldings in the hallway. "The transition between the old and the new occurs in the study, which has an eclectic mix," Day said. The room's built-in shelving is lined with books, and a center table is surrounded by modern and vintage stools. Halo Circular pendants illuminate the dining area, which features a wall with an eye-catching wine rack. The kitchen's efficient space is outfitted with plywood cupboards, marble countertops, and cleverly concealed appliances. And the adjoining living area is filled with warm wood furniture and leather seating that pops against the verdant artwork. 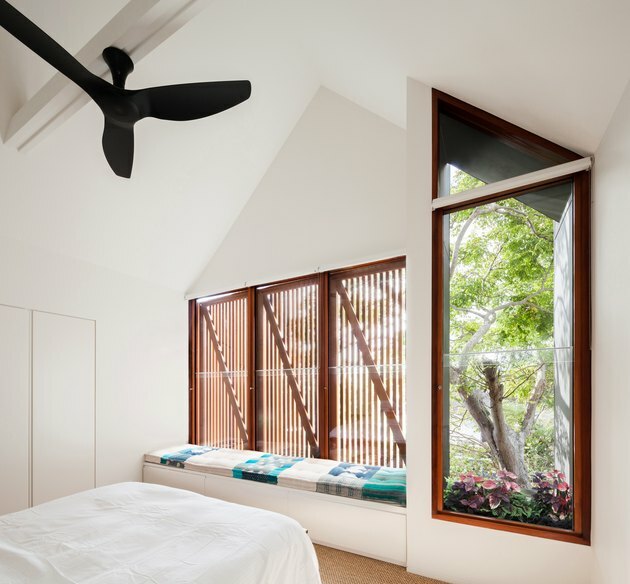 The master bedroom overlooks the garden, and also has views of the city skyline to the north. The upstairs bathroom has a vaulted ceiling with an unconventional skylight, and a stunning accent wall lined in handmade tiles by Anchor Ceramics. The upper floor of the addition is also home to a bright and airy nursery. The cantilevered upper level of the addition is clad in a cedar timber batten screen and the lower living area opens on to the yard.